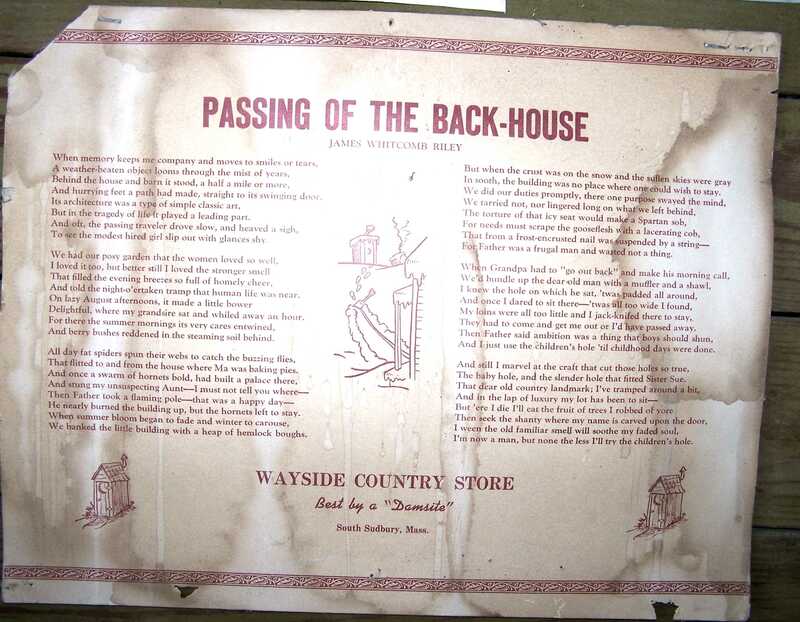 In my meanderings across New England to look at old barns, I often come across unexpected treasures. Antique outhouses fit that category. 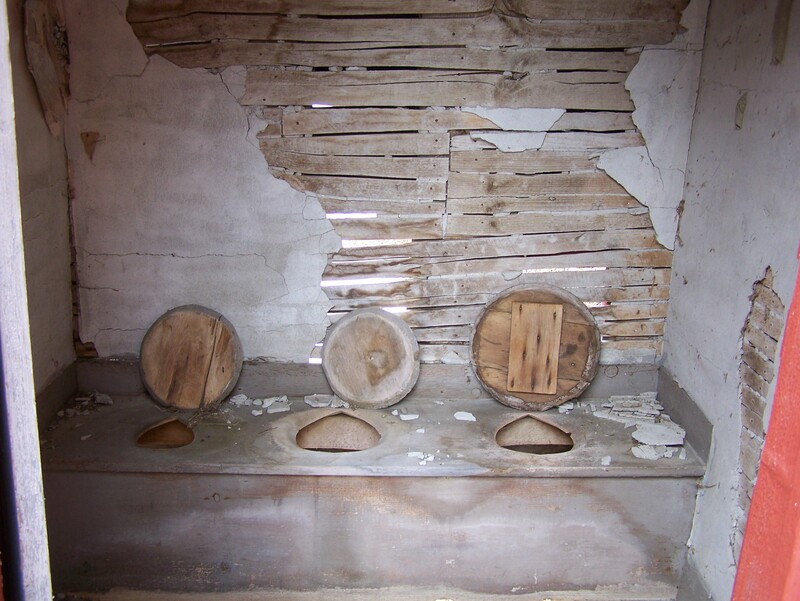 While there isn’t much market for a renovated timber frame outhouse or modernized backyard latrine, these outhouses were a basic necessity for everyone in the past! Once while looking at an historic barn in Wells, VT, I came across this grand specimen; perfect for the whole family to enjoy together. Since I couldn’t very well take the commodes back home with me, I couldn’t resist taking a snap shot. 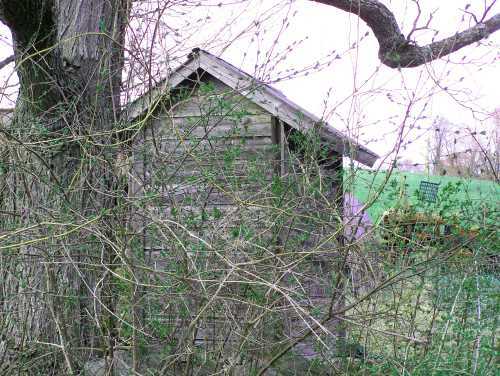 This particular backyard bathroom stood approximately 100 feet from the house. Can you imagine how many clothes you’d have to put on in the winter to head out to the throne room? 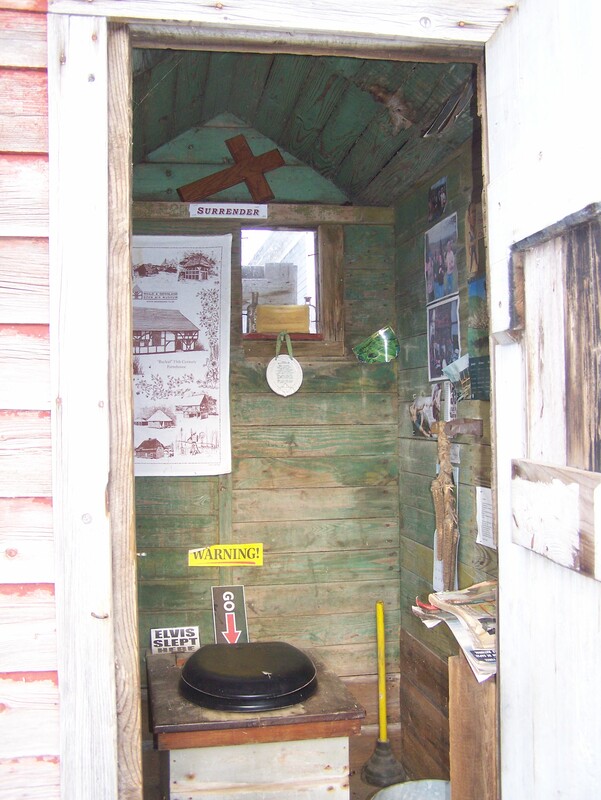 Below is an outhouse that came from Pawlet, Vermont and was built around 1900. It stood out back behind another old timber frame barn I came to evaluate. 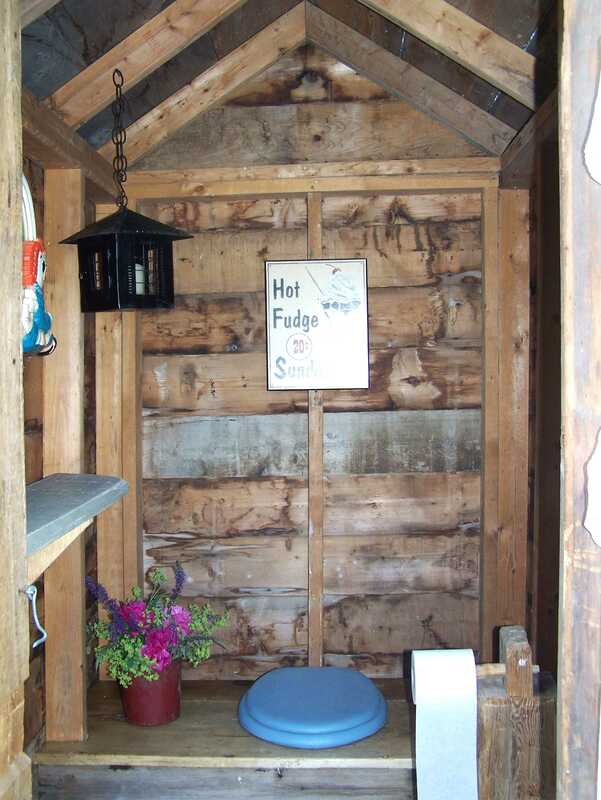 This was one well-appointed little stall. It even came with corn cobs to use in a pinch. And do they ever pinch! Below is a backyard beauty inspired by some of the “one holers” I’ve happened upon in my barn hunting. One of our daughters built it to accompany a timber frame cabin she constructed in our back field, with just a bit of help from ol’ Dad. I like how she added a special feminine touch. (You can click on the picture to enlarge the text, or go to the link). 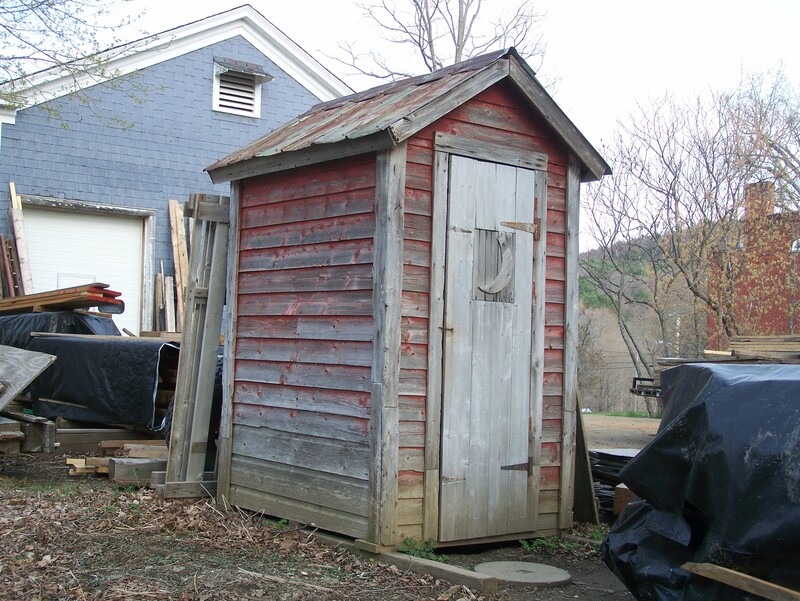 If you are looking for a fine wooden outhouse (or regular timber frame house) made from the finest of Vermont restored wood, we can be your crew! Give me a call at 802.774.8972 or email Luke@greenmountaintimberframes.com. This entry was posted in Green Mountain Timber Frames, Post and Beam and tagged American History, antique outhouses, antique wood, New England history, old outhouses, outdoor living, outhouses, vermont timberframe by Green Mountain Timber Frames. Bookmark the permalink. Thanks! That was great! 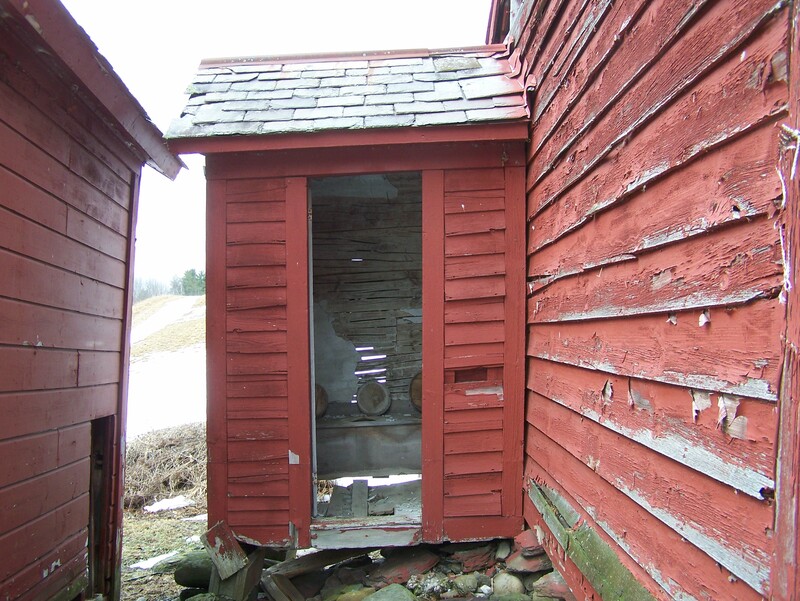 There is a 1790’s farmhouse down the road from me here in Middlebury that had an outhouse with a ‘tray’ (? don’t really know what to call it). My husband said they would hitch that tray up to a horse and pull it out in the fields!! Have you ever heard of that? The three seater , What a way to bring a family together, I think if we all did this, the divorce rate would go down.